With soothing hints of French Lavender, a smooth blueberry taste, and a sparkle of Champagne -- this new Champagne Jelly offers a very comforting experience -- from the very first smell and taste. This Jelly will be crying out from the refrigerator to be enjoyed a host of different fun ways. From spreading it over your breakfast toast, to a Ham & Swiss on Rye, to heated and drizzled over anything for dessert..........and finally the pleasant calming lavender will help steer you back to your pillow after one of those PB&J sandwiches at 2AM Packaged in 7.75 oz glass jars (when the Wine Jelly is done the jar makes a perfect stemless Wine Glass, for picnics and backyard entertaining), Scroll down for Additional Product Info and Purchase Options. ** SOLD IN SETS OF 4 JARS (Mix & Match) -- $7.50 EACH -- FREE SHIPPING! 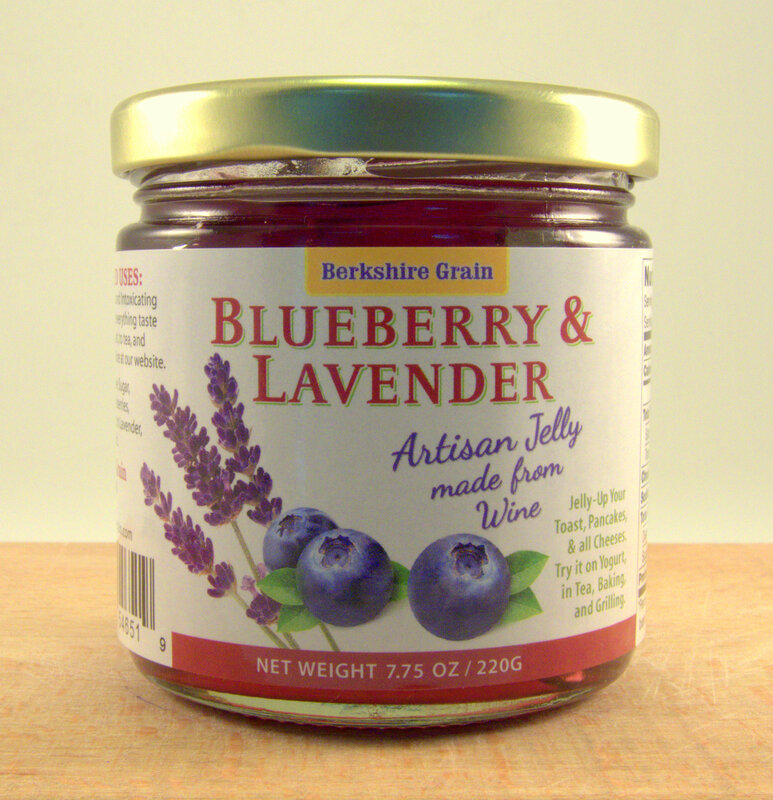 Blueberry & Lavender Champagne Jelly 7.75oz. With soothing hints of French Lavender, a smooth blueberry taste, and a sparkle of Champagne -- this new Champagne Jelly offers a very comforting experience -- from the very first smell and taste. Ingredients: milled cane sugar, champagne, blueberries, fruit pectin, dried lavender, lime.